I’ve noticed a common theme in the conversations I’ve had recently. A new mama about to have her first baby told me she’s having so much anxiety about not feeling ready. A friend in the midst of raising her kids shared that she’s worried she’s not providing her children with what they need. I received an email from a women who feels completely overwhelmed and stressed out by the amount of responsibility in her life, and doesn’t know how to get a handle on it. Another friend told me she knows she overextends, over commits and gives too much of herself, to the point where her health suffers, and yet she just doesn’t know how to do it any other way. Are you seeing the common theme here? You see, not feeling “enough” is really connected to our own self-worth. If, deep down inside we let fear, self-doubt and negative self-talk have a voice inside our heads, then they start to manifest in our daily life. They manifest in our need to control, in our need to be perfect, in our need to please others, in our need to strive for recognition, in our need to stay busy and in our need to do it all. When you don’t feel good enough, you will do whatever you can to make up for self-worth, self-love and confidence you “lack.” That’s when worrying turns to anxiety. That’s when you people-please and try to give your kids the world, but it never feels like enough. That’s when you overcommit to the point where your daily responsibilities become suffocating. Not feeling “enough” is the common theme that trips us up in life. It’s so dang easy to fall down the rabbit hole of “not enough” – just take a look at the commercials on your TV. The media, Facebook, Pinterest, advertisements, magazines, our neighbors, friends and community – are all caught up in the rushed, forced, exhausting “not doing enough – must do more” pace. 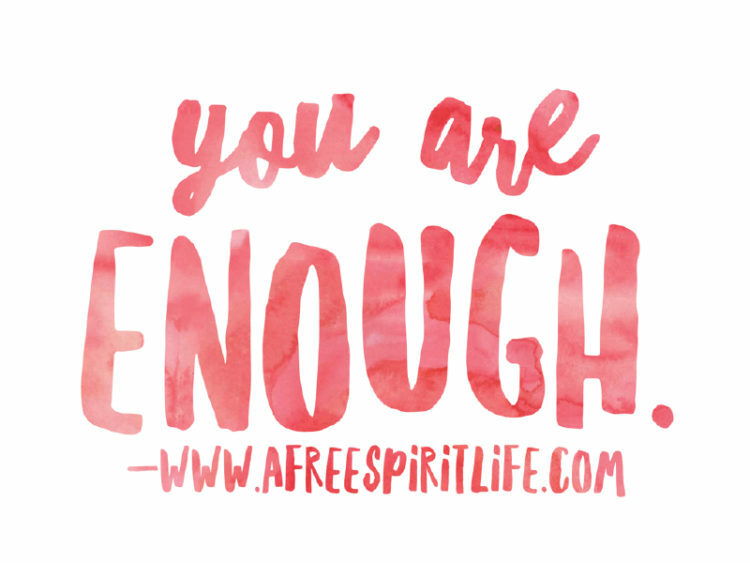 It makes us feel like we aren’t “enough” and we end up living most of our life stuck in lack, rather than thriving in a place of abundance overflow. When we get caught in the downward spiral of “not enough,” we put our self-care needs last on the list. How do we break free of not “feeling enough” in a culture that is designed to bring us down? 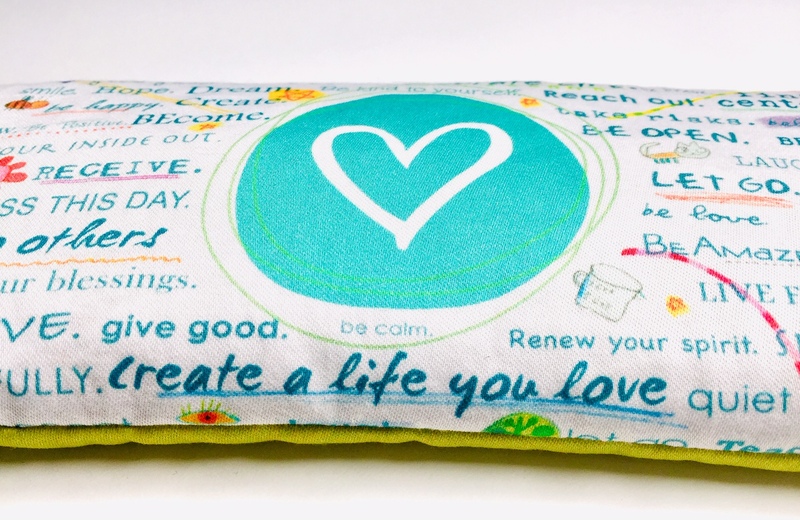 Start taking better care of yourself, and feel a sense of gratitude that you…are YOU. You are a magical, loving, imperfect being who was chosen to live this life. Life is full of challenge and chaos. It can feel uncomfortable and hard sometimes. It is also wonderful, beautiful and a gift. It’s time to break free of the old patterns and story of guilt, shame, worry and overwhelm. Let’s trade that intense, exhausting and depleting energy in for something that brings us in harmony with our joy, creativity and inner dreams. Breaking free starts with self-care. Self-care leads to more self-love. 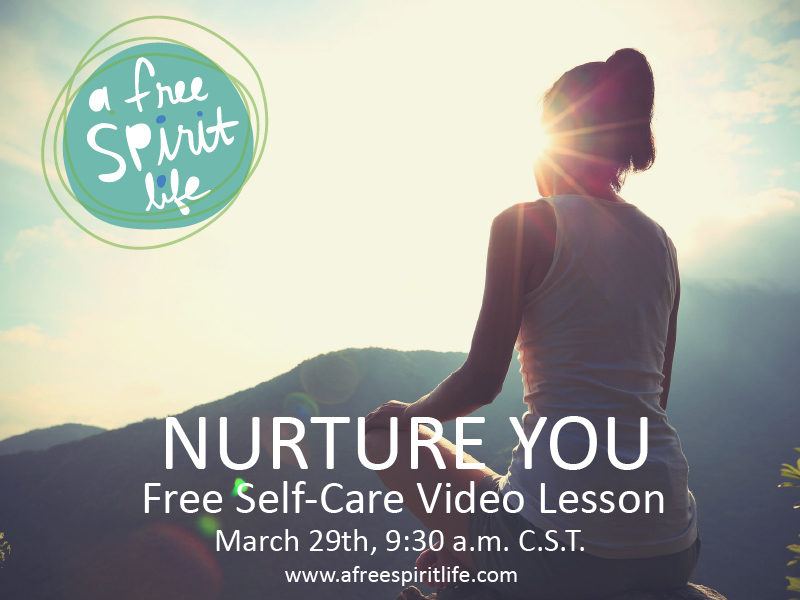 Join me this week for my free video lesson NURTURE YOU. 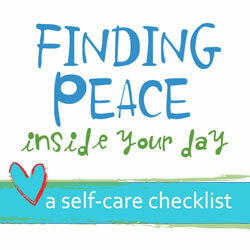 Learn 3 important self-care tips that will help you feel more connected to your inner peace and will remind you how whole and complete and amazing you truly are. To sign-up, simply make sure you are a member of our private A Free Spirit Life group on Facebook by clicking the button below. Tuesday, March 29th: 9:30 a.m. C.S.T. Note: If you can’t make it at that time, not to worry, you can stop by any time during the day to watch the recording. Visit our Facebook page at that time to view the video lesson LIVE. You can ask me questions and we can chat together. 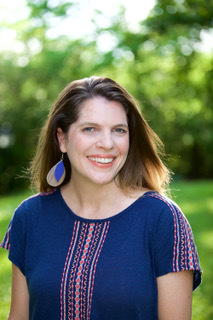 Make sure you have joined our free, private A Free Spirit Life Community as that’s where I’ll share the video lesson, a soul-care list, journal prompts and more.